If You Could Prevent Cancer, Would You? Every year, about 600,000 people will be diagnosed with cancer caused by HPV, or human papillomavirus. 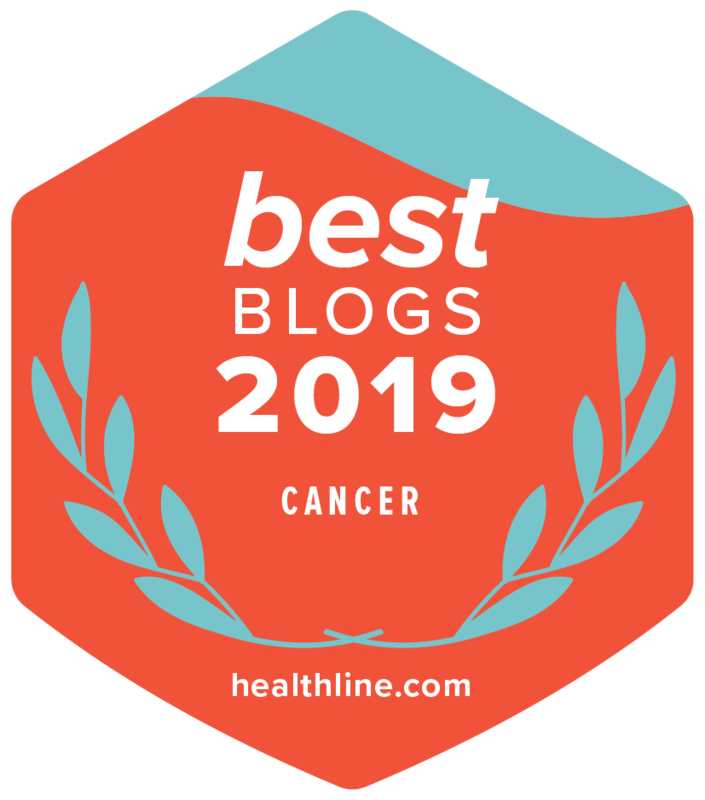 Although most people think of HPV being related to cervical cancer, this virus is also linked to other cancers that affect men and women. Fortunately, HPV can be prevented with a vaccine. Yet, in the United States, only 36% of girls and 14% of boys ages 11 to 13 are fully vaccinated. Why? In a recent statement, ASCO explores this question and urges aggressive efforts to increase vaccination and prevent cancer. “With safe and effective vaccines readily available, no young person today should have to face the devastating diagnosis of a preventable cancer like cervical cancer. But unless we rapidly increase vaccination rates for boys and girls, many of them will,” said ASCO President Julie M. Vose, MD, MBA, FASCO. 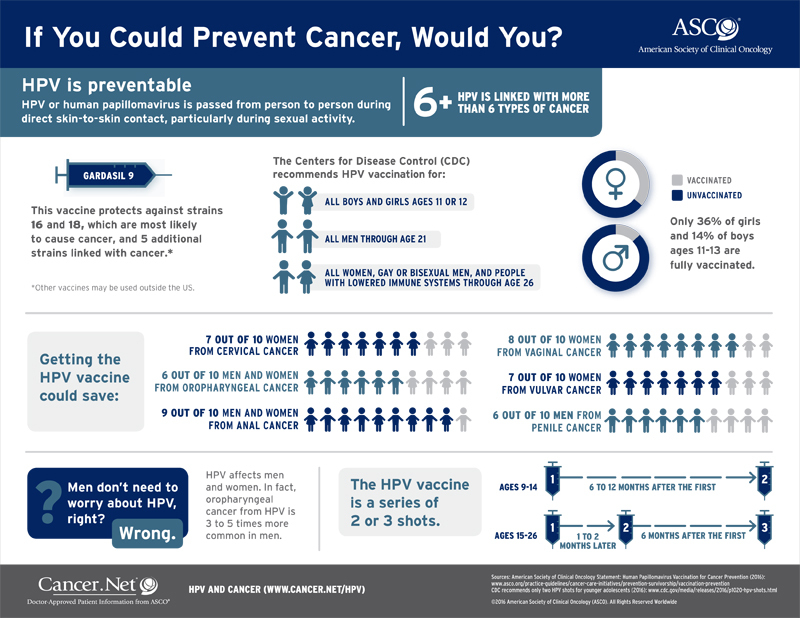 Learn more about HPV and vaccination in this infographic.